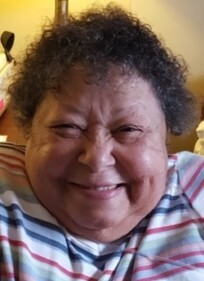 Obituary for Geraldine L. Adley | Dimon Funeral Home and Cremation Services, Inc.
Geraldine L. Adley, 77, of Tower City, passed away Thursday, January 31st at Lehigh Valley Hospital, Allentown. Born in Muir, March 16, 1941, a daughter of the late George and Hilda King Adley. Gerry was retired from Bell & Evans Poultry, Fredericksburg. She was a member of the Williamstown American Legion and the Williamstown and West End Fire Companies. Gerry enjoyed spending time with her family, gardening, old country music and loved anything with Betty Boop. In addition to her parents, she was preceded in death by two brothers, George Jr., and Roy Adley; sisters Kathleen Rhoades and Virginia Morris. Surviving are a brother, Harry Adley, Williamstown, numerous nieces and nephews including, David Rhoades and Theresa Witmer, who were Gerry's caregivers. Funeral services will be held Thursday, February, 7th at 11:00 am from the Chapel of the Dimon Funeral Home, Inc., with Pastor Annette Shutt. Burial will be in the Greenwood Cemetery. Viewing will be from 10-11 am at the chapel. Condolences may be left for the family at www.dimonfuneralhome.com.